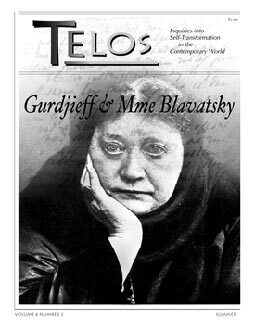 A look at recent writings that attempt to marginalize Gurdjieff by linking him with Blavatsky and the teaching with Theosophy. What are the ramifications of mixing the occult with the corporate? A look at business as religion. Transcripts of Gurdjieff's wartime meetings that he continued to conduct in Paris throughout the war, even as conditions became more desperate. What's the real reason behind the making of Battlefield Earth, which was referred to as "the most expensively mounted high school play of all time" by one critic? The Big Kahuna carries some real messages for a more mature audience. William Charles Segal studied with Ouspensky in the early to mid 1940s in the United States and with Gurdjieff in Paris after World War II. He was co-chairman of the Gurdjieff Foundation in New York City.